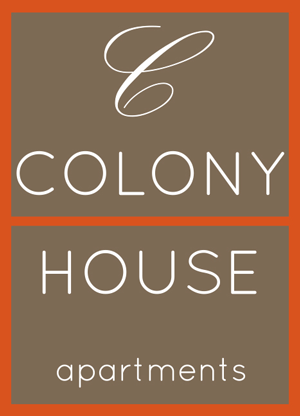 I like it at colony house they have really nice apartments and really nice staff the will work with you. I would highly recommend it to someone. Love it here. A lot. A lot a lot, and I hope rent goes down so I can continue to live here. Since this has to be 140 characters, I just want to say I love living here. Very nice community love the neighbors and families that live here as well . Wish I would’ve found this place a long time ago! Can’t wait to move into something bigger! The management staff is AMAZING! Very helpful! Can’t imagine living anywhere else. Everyone is so friendly. Can’t wait for the pool to open! The best staff ever friendly, helpful,and they made my moving process allot less complicated and possible and for that me and my family are thankful. I just started moving into a my new place and I love it already. It's so spacious and the community is quiet which is an extra plus. And I'm so much closer to every place I usually need to go to. I have lived here for 12 days and so far it is awesome! On my first night of living here there was a small clog in the sewage pipes. The Maintenance man came almost immediately and didn’t leave until the issue was fixed. This was very refreshing especially because in the last apartment complex I lived, there was no assistance at all! Colony House has been a great experience so far. I had to move into an apartment due to certain life changes recently. I was worried about the noise since I was coming from a home. I have been pleasantly surprised how quiet the community is and how accommodating the staff is. The maintenance requests have been handled quickly and the staff is extremely friendly and helpful. I love how pet friendly the community is too! We are so close to an area to walk our dog and right down the way from the dog park. Can’t wait for the rain to slow down or stop to get to play with him more. So far so good! Still getting settled. Maintenance came very quickly when washer was being installed. We look forward to enjoying our patio in the spring. We recently transferred apartments from a two bedroom to a three bedroom and we absolutely love it, the office made is so easy and convenient! Love the friendliness of the staff. The convenient location. The cute townhouses. The privacy in apartments. The well upkept property. The many activities the office hosts. It’s been a great complex with a great community surrounding us. The office staff are very nice and helpful with any situations. Maintenance has always been on time and resolved any issues that we have had. The staff is amazing and so friendly! Just moved in and am so happy. Looking forward to the rest of my time living here! I love that it's pet friendly too. It’s A Very beautiful neighborhood and nice fit apartment! I Will Love To Stay There Forever. It Seem Like Everybody Loves It And Have No Problems.. This Is My First Apartment And I am Very Excited! I love living here! Its calm and peaceful and the staff are awesome! They help you with anything you may need and are very friendly. I especially love the pet friendly community! It has been great thus far living here, its quiet, if there is any issue Matt and his team are quick to assist. I love it here and will definitely be referring people here.